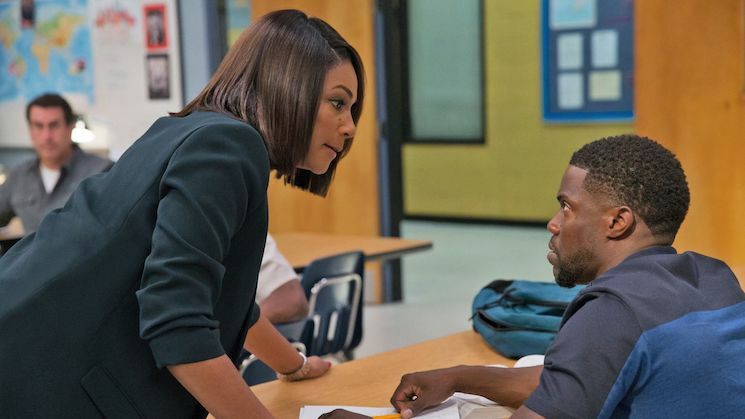 When Teddy Walker (Kevin Hart) accidentally blows up the successful barbecue shop he was set to take over, he finds himself in a classroom of misfits fighting to get his GED. At the front of the classroom is Carrie (Tiffany Haddish) as a no-nonsense, but encouraging teacher. It would be hard to put comedic heavyweights Hart and Haddish together and not get laughs. Plus, each character of the class has their own distinct gags, from an out-of-work waiter who, even in adulthood, aspires to be a pop star, to a bored housewife whose sunny demeanour only thinly veils her chaotic home life. While the journey to the GED is fairly predictable, some of the steps to get there feel poorly justified. Finding excuses to throw the group of oddballs into random situations, the film follows its leads into an after-school heist, a wrestling ring, and a high school prom. Of course, being the kind of film that is intended to get laughs and find joy in ridiculous characters, it shouldn't matter too much that it moves forward with a certain randomness. But it marches towards contrived emotional turns, rather than fully unleashing the power of Haddish and Hart and letting them play. This particularly feels the case with Haddish, who plays the straight woman (in the comedic sense of the term only), to Hart's bullshitter.